With the development of science and technology and the progress of sports, the performance of athletes in the match not only depends on the usual performance, but also depends on the athletes’ psychology, facial expressions and many other factors during the match. How to achieve the best condition of the athletes' competition psychology is a complicated work, which must be exercised in daily practice, and must be monitored and analysed through advanced monitoring technology. And then the psychological level of the athletes can be summed up and guided, especially the anxiety and panic psychology of athletes before competition. Competitive psychology, Psychological state, Facial expression. In the highly competitive sports arena, athletes are under great pressure both physically and psychologically. And these factors will play an important role in their performance on the field . With the development of sports in our country, many coaches have begun to pay attention to the psychological changes of athletes in the field. This kind of psychological condition in the game is called the competitive state of mind, which is the reaction of the players to the game environment. This kind of psychological reaction seriously affects the competition behavior of athletes. In order to better monitor the psychological changes of athletes, many experts and scholars began to use multi-disciplinary and multi-field monitoring methods to monitor the athletes' psychology and facial expressions. At present, this monitoring method has achieved good results. However, due to the limitations of the current monitoring methods, it is impossible to monitor the facial expression of athletes in real time, which can only be analysed through the investigation of athletes before and after the game. The psychological state of athletes can be obtained through interviews to summarize the psychological changes of athletes. This kind of information is delayed. The monitoring data obtained by this method is not perfect, and it is not accurate enough. Therefore, many researchers have carried out a study on the monitoring of athletes. Based on the athlete's facial expression, the mentality of the players in the game is analysed. The data obtained is more accurate and reliable. With the development of science and technology and the progress of sports, the performance of athletes in the match not only depends on the usual performance, but also depends on the athletes’ psychology, facial expressions and many other factors during the match. For athletes, the good psychological quality is the key to winning . How to achieve the best condition of the athletes' competition psychology is a complicated work, which must be exercised in their daily training. And the advanced monitoring technology should be adopted to carry out monitoring and analysis, thus to sum up the psychological level of the athletes and guide them, especially the anxiety and panic psychology of athletes before the competition. The other best way to study the athlete's athletic psychology is to monitor and analyse the facial expression of the athletes in the match. The athlete's facial expression directly reflects the athlete's psychological state. In other words, the facial expression features are the external manifestations of the psychological changes of athletes. In the game, all the attention of the athletes are focused on the game, while the ability to monitor facial expression is at a minimum, thus making the facial expression more objectively reflect the psychological changes of athletes. Many researchers have applied the facial expression analysis system to the usual training, and achieved some results. Combined with facial expression analysis system, coaches can guide athletes. Athlete's psychological judgment, originated in the west, was originally proposed by the French psychologist Simon. It has developed rapidly in the middle of the last century. The methods of psychological test can be roughly divided into written test and instrument measurement. The factors influencing the psychological changes of athletes are shown in Figure 1. Figure 1: Factors influencing the psychological change of athletes. With the development of science and technology, there are a lot of instruments can be used to simulate the game scene. Artificial Neural Network (ANN) is proposed on the basis of the research of neuroscience to imitate the characteristics of human brain. At present, the development of bioengineering and neural network technology has been limited. The training and learning method of neural network is to obtain the information between neurons through the network feedback value. Affected by the external environment, the neurons are changing, and so its internal structure is also changing. There are two kinds of learning methods: supervised learning and unsupervised learning. BP neural network has three or more than three layers of neurons, which belongs to a multilayer feed forward neural network. BP neural network mainly includes input layer, hidden layer and output layer. The neural network has been widely used because of its simple structure, adjustable parameters and good operability. In this paper, 4 track and field athletes in a domestic university student sports meeting are selected as the research objects, and the 800 m race is selected as the track and field event. The basic situation of athletes is shown in Table 1. Table 1. Basic situation of athletes. In this study, the combination of psychology and testing instruments is used to conduct a general assessment. The state of the track and field athletes before the game is called the pre competition state. In the course of the game, the state of the player is called the race time. Accordingly, the state of the player after the game is called post-game state. By means of the written test and instrument measurement of 4 athletes, it is found that the tension, anxiety and coldness are the key factors that influence the athletes. The proportion of these factors is shown in Figure 2. 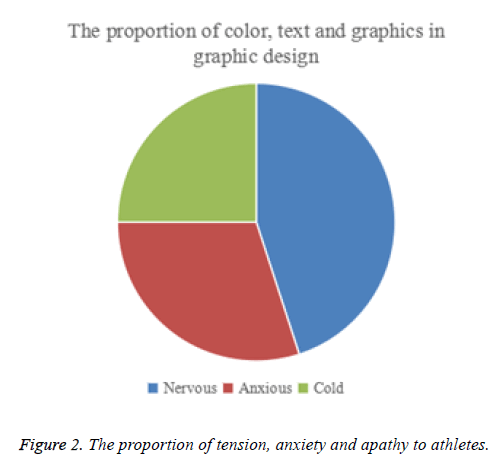 Figure 2: The proportion of tension, anxiety and apathy to athletes. It is also found that the anxiety state of female athletes in the competition is obviously higher than that of male athletes. This strong anxiety makes female athletes in a disadvantageous position in the competition. And then from the analysis of the athletes' level, the anxiety level of the second-grade athlete is higher than that of the first-grade athletes. In terms of selfconfidence, most athletes do not have confidence in themselves before the game. Therefore, in peacetime training process, athletes should strengthen the cultivation of self-confidence. In this paper, through the study of the psychological changes and facial expressions of athletes in the game, it is found that the psychological adjustment of athletes is very important, which directly affects the level of athletes' competition. Because each athlete's psychological quality is different, and the motive of the competition is different, the morale of their competition is also different. Before the game, with excessive excitement or anxiety, athletes can't play the best level. The research results of this paper provide a theoretical basis for the judgment of athlete's psychology and facial expression. Tan JW, Andrade AO, Li H. Recognition of intensive valence and arousal affective states via facial electromyographic activity in young and senior adults. PloS One 2016; 11: e0146691. Shields DL, Funk CD, Bredemeier BL. The contesting theory of competition: evidence from metaphor priming. J Sport Behav 2016; 39: 446.